goodness i have a fish on now how did my line get wrapped around my rod. function properly. Trucks NOT stuck in the sand. Chatter on Channel 5.
next tug will come, at what depth, and what sort of fish or critter it might be. will be there if I am able. together in this magic Coho on the surface moment. 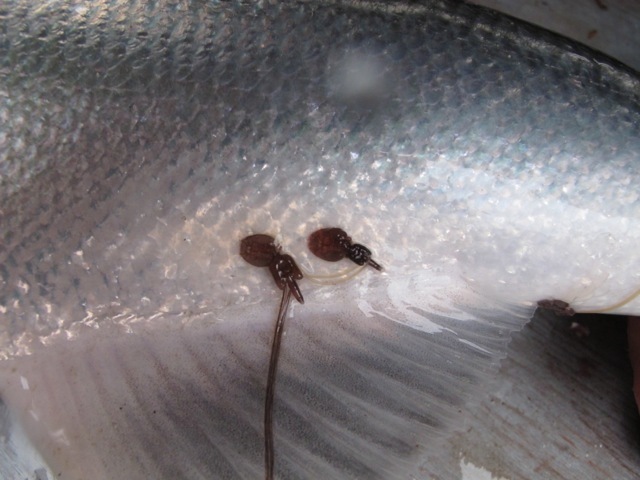 Tube flies with no barb were tasty for some . . . .
actually 4 good Blacks on at this moment. Fresh protein for family and neighbors. waiting for the Tuna to turn on? Hope this day is good for you and that I can report again soon. 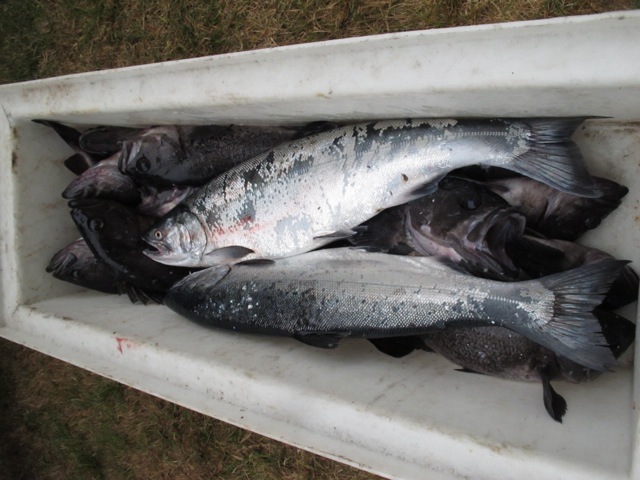 This entry was posted in Oregon Salmon fly fishing, Oregon Saltwater Fishing. Bookmark the permalink. Are these guys for hire? If so, how do I book a trip? i follow your every post…thanks for the work you do! Grew up catching those fish-now i gotta try the fly!! Any of our Caddis Fly Shop Clients who are interested in a Dory-based, ocean fly fishing or combo fly/gear trip may contact Joe or Wendy Hay and enquire about trip date availability, target species, and per-person cost. 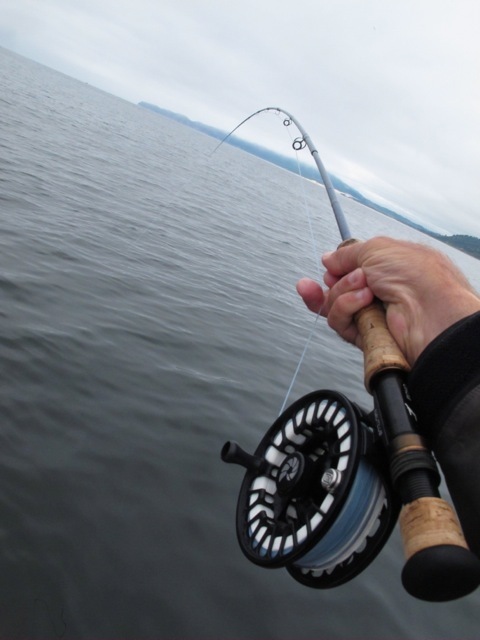 Trips can be shaped around a variety of bottom fish and salmon, perhaps tuna, all depending on ocean conditions and the latest fishing regulations. Joe emphasizes a quality ocean fishing experience and will discuss expectations with prospective clients. There are days when the best anglers will have difficulty catching fish on fly or gear, and days when most anglers will be able to catch fish. The very opportunity to launch in a Dory off the beach is a thrill in it’s own right and the various opportunities to see porpoise, whales, marine birds, shark, and who knows what are always enticing. 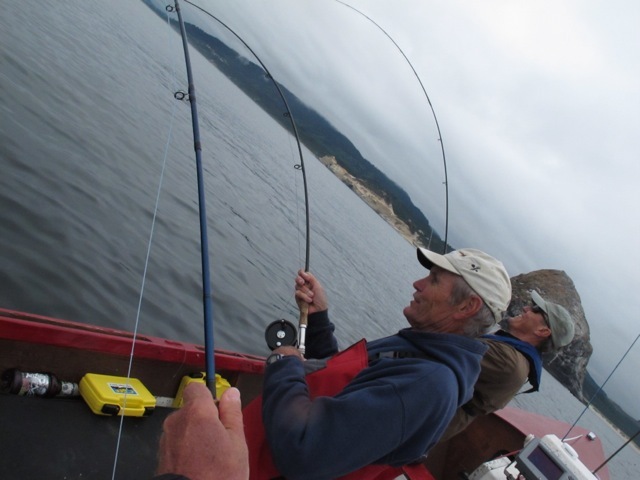 Joe is an experienced Dory Captain USCG Licensed, and will provide information for individuals interested in a fly fishing or combination fly and conventional gear fishing charter off the beach at Cape Kiwanda here at Pacific City. 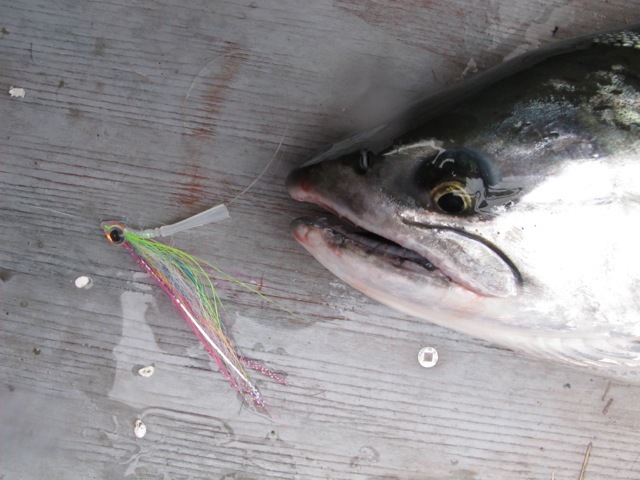 Joe will note that he does NOT supply FLY TACKLE to clients, but if they want to shift from using their own fly gear to conventional tackle for bottom fish or salmon, he will provide the conventional tackle. I will prepare a short blog post next week outlining tackle for rockfish and salmon that we can use to guide any of our customers as well. 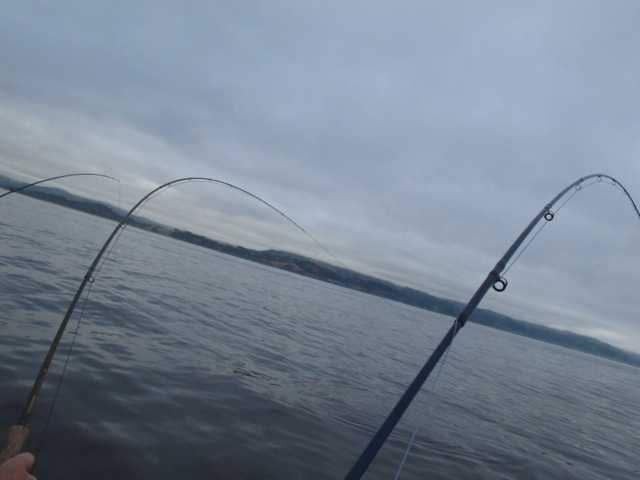 Immediate questions about any aspect of gear, tackle, flies, lines and such may be referred to me by email or phone 541 224 3524, and i would be happy to advise people for the Shop.